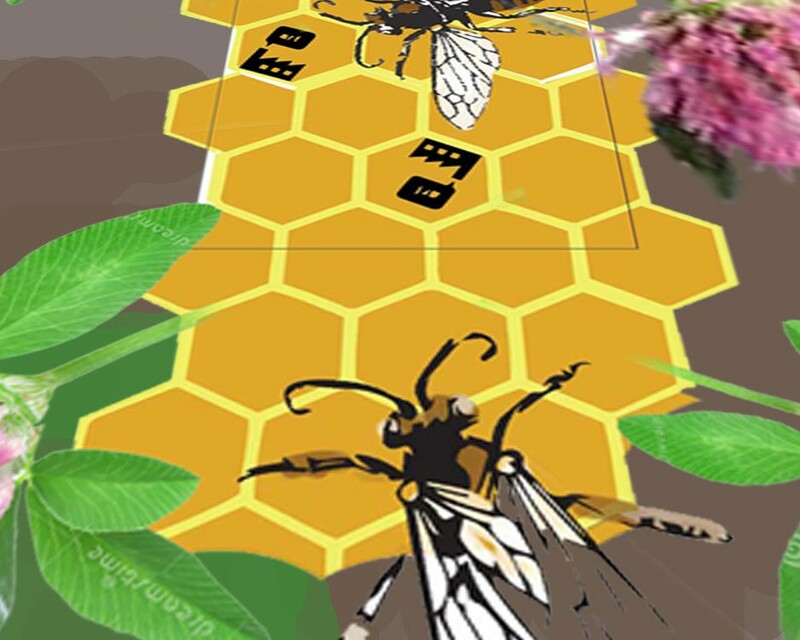 Burlington's South End Arts and Business Association announced their selection of a winning proposal for a South End street-level mural: Vermont artists Marie Davis and Tara Goreau will transform the Pine/Howard Street crosswalk into a honeycomb buzzing with bees. The hive will be surrounded by red clover, Vermont's state flower, and the official South End Arts District logo will be scattered throughout individual cells of the honeycomb. "It is easy to imagine our collective energy as an animated hive of bees," Davis and Goreau wrote in their proposal. "Busy at work in our studios, offices and company floors, we work individually and as a whole, cross-pollinating ideas and skills, creating our collective honey to share with our communities here at home and around the world." Davis and Goreau's proposal was selected from nine submissions. The artwork is to be funded by a Vermont Community Foundation "Small and Inspiring" grant of $1500. Look for the mural sometime this month.